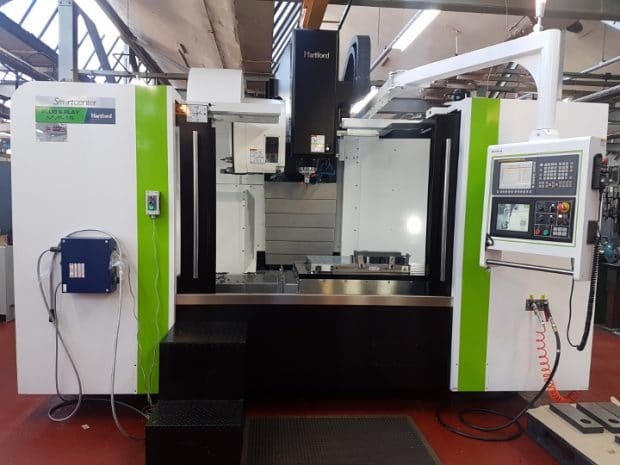 Allspeeds has invested over £150,000 in a new vertical machining centre at its Accrington manufacturing facility in Lancashire. The Hartford Plug & Play Series MVP-16 will enable us to streamline production of larger Webtool cutting tools, significantly reducing manufacturing lead times. Webtool hydraulic cutting tools are used by ROVs, as well as in integrated systems. For example, they can be used for IWOCS emergency disconnection and other applications. Webtool is one of the few cutters capable of providing rapid simultaneous cutting of umbilical multiple fluid transfer jumpers, electrical lines and tension wire assemblies. In maritime applications the cutters are a key feature of winch and towline emergency cutting systems. Webtool hydraulic cutting tools range in size. From the cut loop cutter for 9mm diameter pipe, to the heavy duty submarine cable cutter for up to 450mm diameter cables, umbilicals and flexible risers. They provide a rapid guillotine type cutting action to provide a clean cut within seconds of being activated. For more information on the Webtool range of cutters, call 01254 615100 or email: info@allspeeds.co.uk. You can also contact us here, and a member of the team will be in touch.